Well, I haven't made much progress with any of my wips. Unfortunately I've miscounted a few stitches on the Unicorn, so I had to frog them. Thanks for looking and happy stitching everyone! I'm Helen, from Russia, Saint-Petersburg. 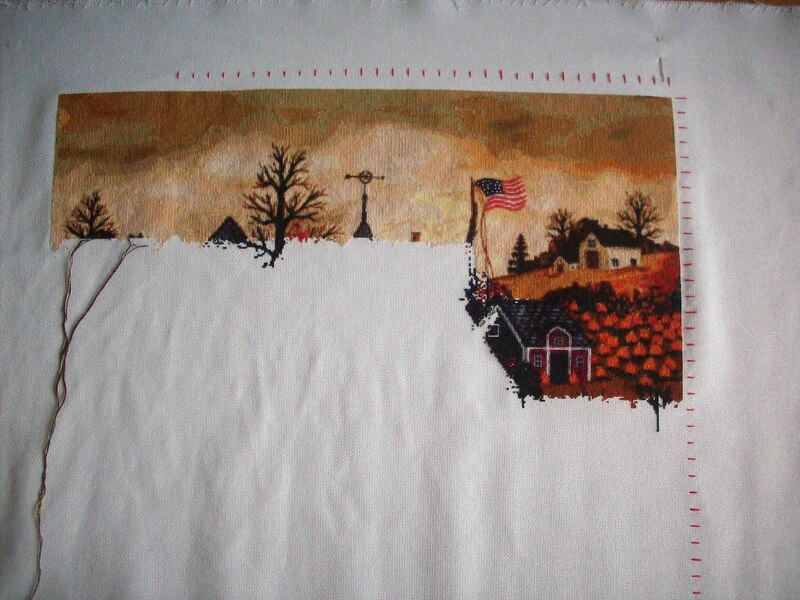 I'm stitching Train of dreams. 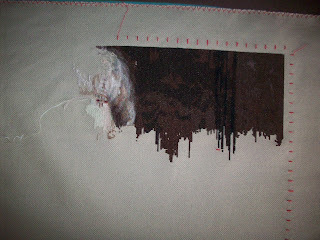 This beginning of my work. I'm Céline, 24, from France. Thank you so much, Louanne, accepting me in HAED Friends' group!!! I'm so proud!!! 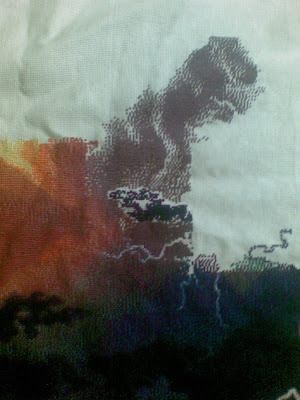 I'm stitching a HAED from Drazenka Kimpel, called Impetuous Arrival. And here is my last update : 3 pages are done. Here is how far I have gotten on Bubbles. I am half waay done page 2. 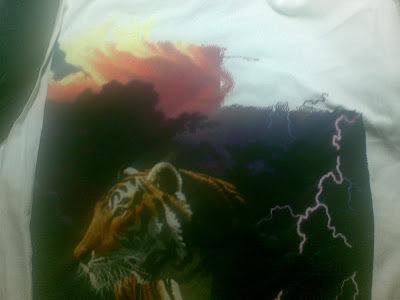 I do not have a recent picture of it but this is what I do have. I am thoroughly enjoying stitching my Red Witch especially as I have already seen the full version finished on this blog. I just love the colours and know it's going to look fabulous. As there is little to show on a weekly basis due to the amount of confetti stitches I have decided to post my progress every month so here are my before and after pics for September. This is QS Stella by Selina Fenech. 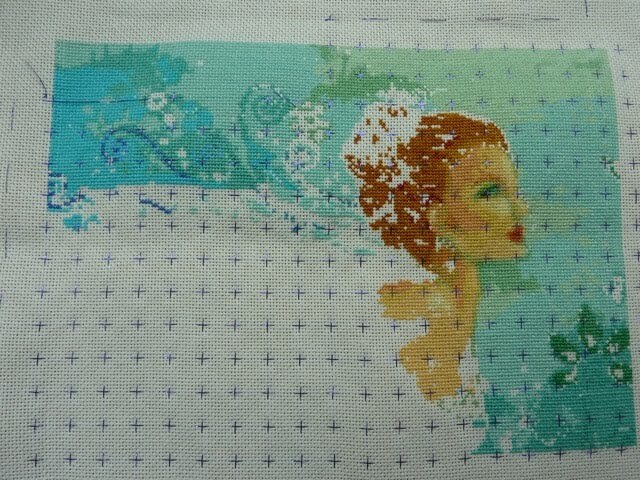 She is stitched on 28ct opalescent white lugana, 1x1, full crosses. I loooove those sparklies! The fabric has a learning curve. It is stiff and scratchy, like Kreinik. I have to keep the floss much shorter because it frays very quickly. I also need lots of new needles because many of the holes are closed. There are also many areas where I have to make the hole based on the stitches around it. Frustrating at times, but I can't seem to put her down! Hope everyone is enjoying the beginning of Fall! First, my thanks to Sabine who posted progress pics for me as my blog buddy. Thanks so much, Sabine! Thanks, too, to Louanne for all the work she's been doing cleaning up the site. It looks great and your labor is much appreciated. Also, while I may not have been posting progress pics, I have been watching the blog. I'm sorry I haven't commented on your work, but it has been truly beautiful. 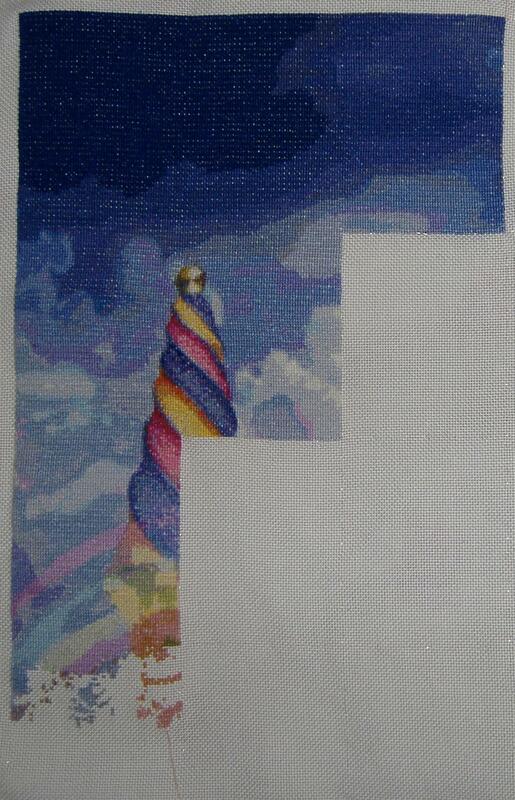 In case you can't tell, the progress pic is the one with the needle minder. There will be more coming in October. I promise! 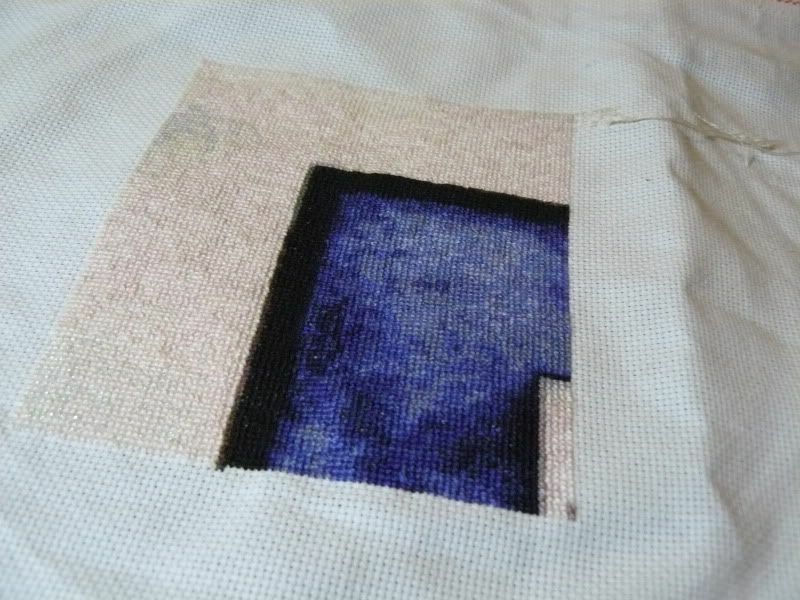 I had a long dry spell where I did not stitch much, but I am happily back with the needle again. 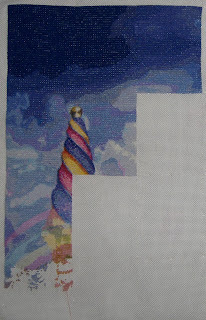 Here are updates for two of my HAED WIPs. I have immensely enjoyed looking at everyone's progress pictures. They are all very inspiring. I hope everyone has a great stitching week. First I like to thank Astrid for being my buddy! Thank you, Astrid! I am happy I am a member now. Almost finished the eyes. They were a lot of work, but I think they look beautiful. I am very happy with them. And an update on Venus Dryad. I finished the top row pages! The colors on this one are so beautiful. The greens and browns are very rich and just gorgeous. It's a real pleasure to stitch them. The first page off Bottom of the Garden is finished. It's only border, so I hope more can be shown in a few pages. I was going to wait until I finished the next page to update again but it has taken me longer than I expected to complete. I had to do the light purple colour up into the pages above the one I'm doing so it didn't form a line. I have completed a fair bit of the page though and next update I should have finished it. I really don't like the page I am on for some reason. I ran out of a pinkish colour 3722 so I have ordered that off ebay and I am waiting for that to arrive. My name is Chrizette and I was Gabi's buddy for the past year. Thank you Gabi!! 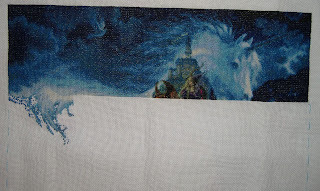 I have been stitching Fairy Tales, a free pattern I found on the HAED website and I am almost (almost!) finished with her face. 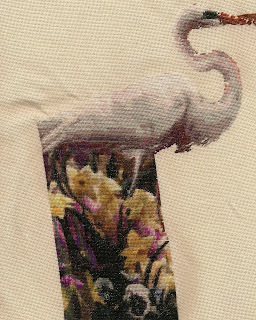 I have been looking at all your beautiful pictures and I think I should start another stitchy project. But there are so many to choose from - the HAED patterns are so, so beautiful. Anyway, here is where I am. I am happy today to show you the 8th full page of my work on XMas. 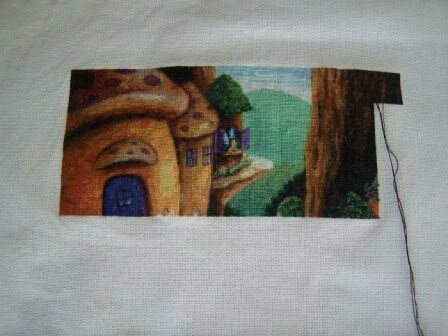 This page took a long time to stitch as it was quite difficult, there were many color changes. And it was a little larger than the others (1,176 crosses over the other pages). I was happy when I finished. I just started a new page, it's the head of the snowman. 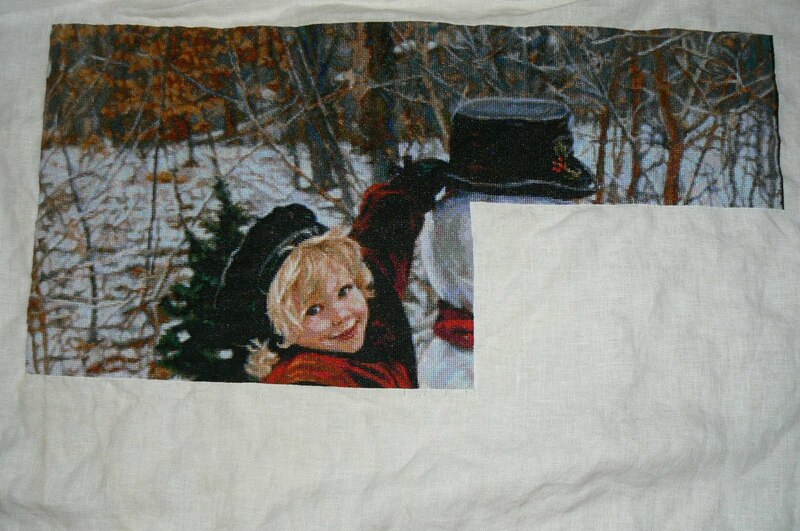 I look forward to drawing his head with cross stitches! 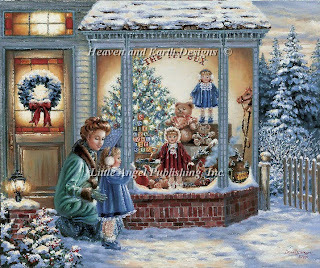 I welcome all the new embroiderers to the blog and congratulate you all on your embroidery, each more beautiful than the others! 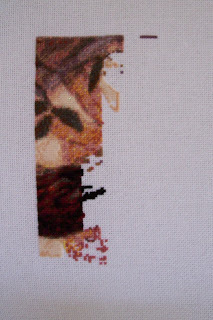 Hi everyone-I have been lurking for the last 5 months after finishing Sunnia, and unfortunately, not doing alot of stitching. I am trying to get back in the groove. 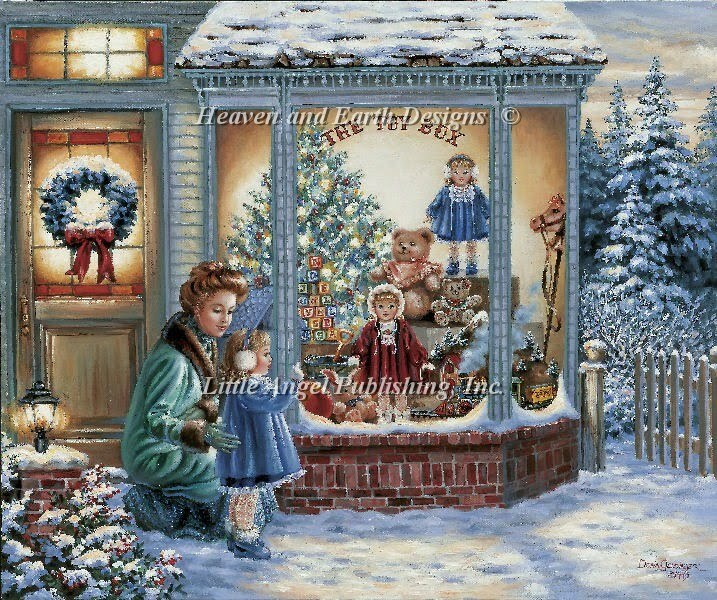 This is my updated picture of "Little Secret" by Gulinski. I had the first 2 columns already done, and I was trying to get the third one done before rotating out, but it was time for a change. Hopefully, I will be around more with some other stitching projects! This week a whole page done. Altough I had Little time. And it was a whole lot of fiddling. With all the confetti stitches. Ther never seemed to end. The hat looks very easy but it was not. I look forward to the dragon on the locomotive. You can just see the tip of his tail. First to work tomorrow, and the in the evening, a fresh start with a new page. I'm Marchann and Jan was my buddy while I was on the waiting list. Since I haven't worked on my HAED since January, Jan didn't have anything to post, but I have been reading and watch all the great progress. 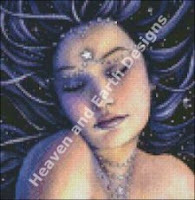 Now thanks to Louanne's hard work I am off the waiting list and able to post. Thankfully this has poked me into working on my HAED again. Here is where I left off last January and where I stopped Saturday evening. You have to love the confetti but it sure makes all these HAED's stand out. I'm still on is page 4 and it is looking great. 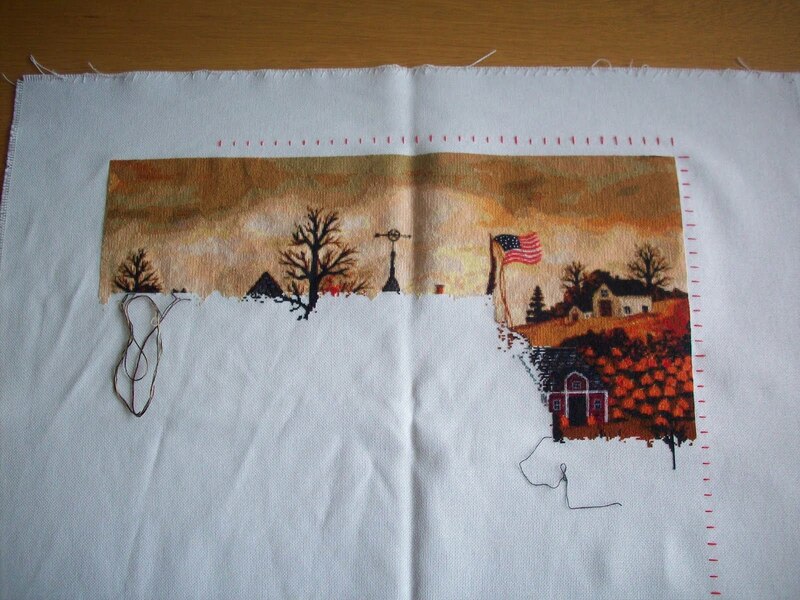 Happy Stitching everyone. 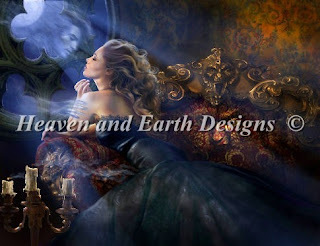 First of all thanks to Louanne for all her hard work and inviting me to join this blog and a big thanks to CathE for being my buddy.I can't wait to see new projects as well as the old ones.Here is my HAED Faery Tales. I started this about 15 months ago and love working on it. 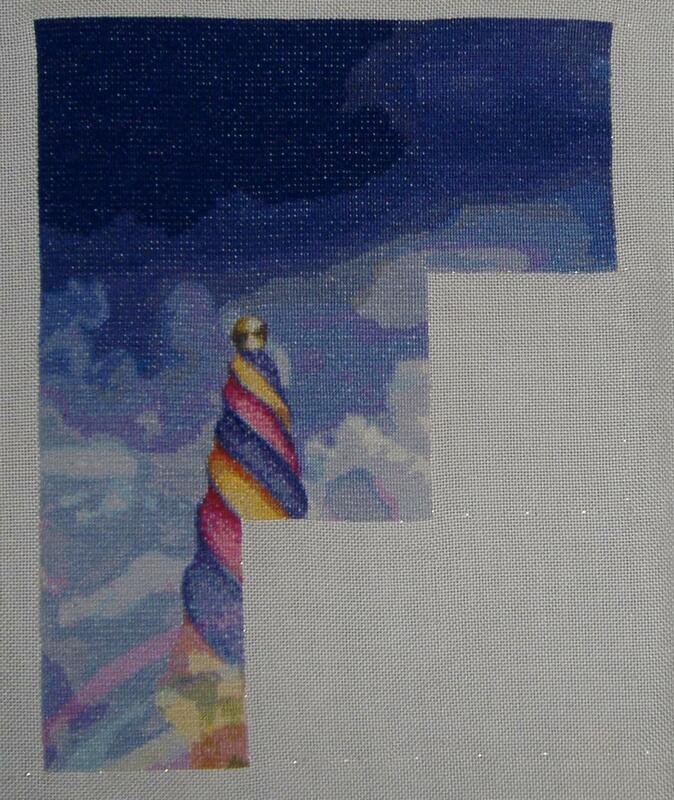 I've started page six of Unicorn Dream, currently I'm working on the unicorn's tail. I Am New and Thank You! So happy to be on the group! Thank you so much for excepting me : ) I will be stitching Lavender Moon by Jessica Galbreth. This is my first Haed so it will be a slow process! 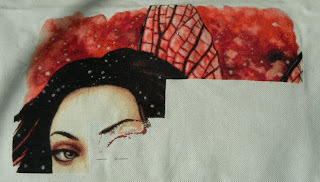 I want to say all of you have great progress and such beautiful stitching as I look through the blog. I'm new here also, and am very happy to be a participant! 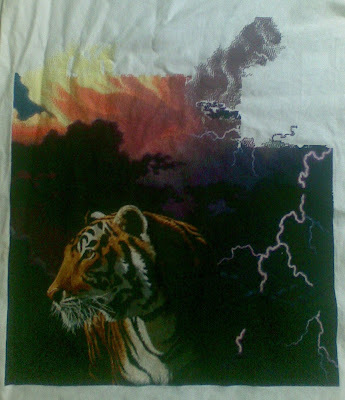 I have been stitching HAEDs for a few years, though no finishes yet. 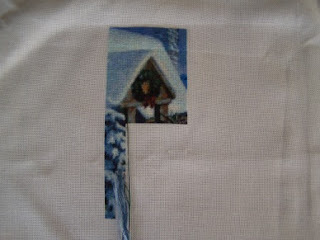 Here are my current wips: Christmas Journey by Yvonne Gilbert, and I have just started the SAL for Sunny sk.Thanks for looking! Hello! I'd like to introduce myself to the group. My name is Bobbie. I live in Oregon. 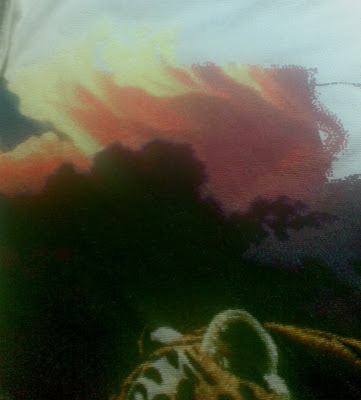 I've been cross stitching since 1991. I look forward to becoming an active member of this blog and meeting many of you along the way. I've been lurking on this blog for over a year and am totally impressed with all of the beautiful HAEDs in progress pictures. I just purchased my first HAED, Lady in The Garden by Leighton. I will be stitching her on 28-count evenweave, over 1 with 1 strand of floss. I'd like to personally Thank Louanne for inviting me to join your group. I am very excited and extremely appreciative to be a member. This is going to look spectacular when finished. Just wanted to do a quick post to let you know that I have begun to delete authors from the blog. Any email address from which I did not receive a response, or any that responded in the negative has been deleted. If you find anything in error (you think you should still have acces to post and don't), please email me right away. Now I will begin going through the waiting list and the buddy list to make all authors with full access. Wow, I've not posted for a while but I've been watching everybody's progress, and as always it is amazing. Well done everyone. I've been side tracked from my head by some other projects recently (details on my blog if your interested) but I have done about half a page on Dragonfly. 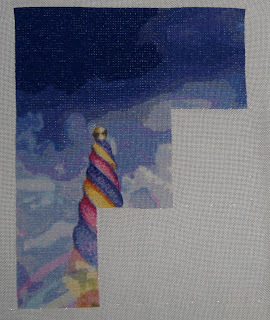 I did briefly pick up Enchanted Flute but put in so few stitched I don't think you would see a difference. Just thought I'd post and give you all an update. I've got a list and I will check it twice. Not counting myself there are currently 96 people able to post here. I've gotten a total of 58 responses to my email. 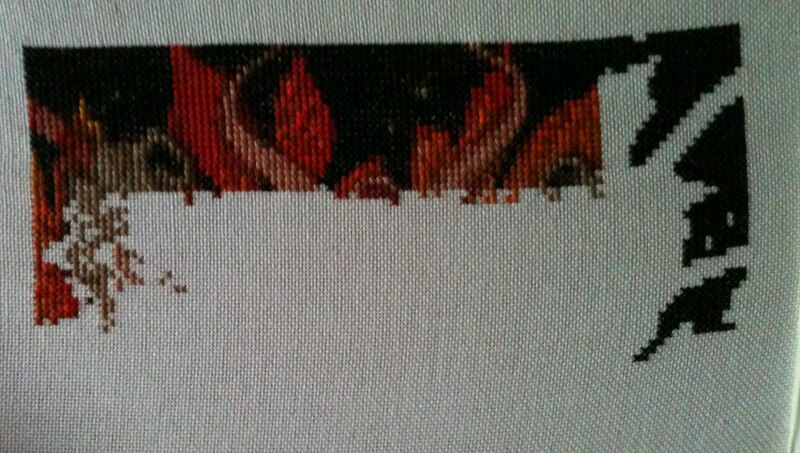 48 wish to stay on, and 10 are willing to give up their spot for other stitchers. That leaves 38 people that haven't responded. The way I see it, they give up their spots by default (and in accordance with the wording of my original email). If the list is correct we will have opened up 51 slots! That should be enough to accommodate all of the people on our waiting list! I'd also like to thank you all for being so cooperative in this effort! An Update on Mad Tea Party by Romantic Fool "Mel"
This is the pic of the last update. After working on it over the Labor Day Holiday weekend. Magnificent Wings: Her eyes are appearing! Here's my progress on Foregone. The hair is getting clearly now, even a part of the lady's forehead. Now there is some progress, the house is almost finished. Here is another update, I have finished yet another page! Sorry for the poorer quality photos. It's 2am here so the light is not as good. Yes, I have stayed up until 2am to finish the page! 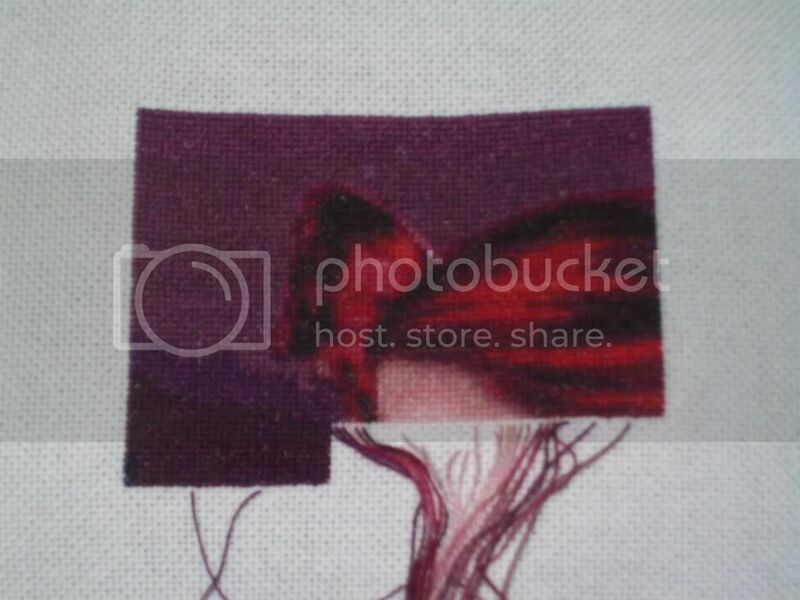 This is such a joy to stitch. 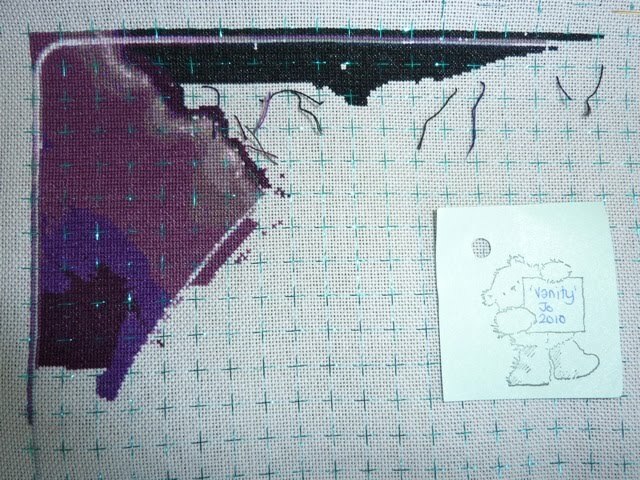 I have about 12 pages + 3 half pages of the chart to do so there is a way to go yet! I have a new pattern and I even started because I think it is wonderful! It calls "The Toy Box" and was written by Dona Gelsinger! 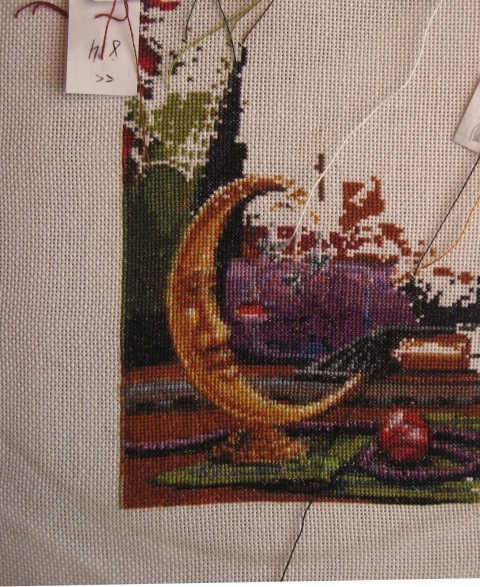 I stitch on 18 ct Aida, DMC, and with two wires! your secret how you go quickest;)! 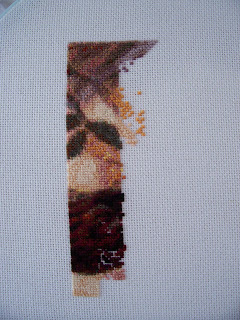 this time an update from my cat, 'carley cat ' , I've stitched about 3000 stitches this month..
Hello Out There in Stitching Land!! Then for my birthday I received this chart: Lady Godiva by John Collier. How could I resist a new start? I find that I am enjoying her very much! It is a peaceful piece. 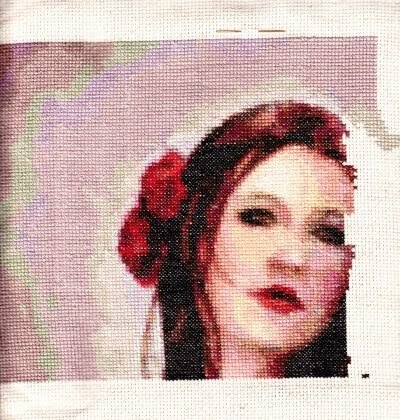 I want to stitch on her every day, but it's more like wanting to spend time with an old friend, rather than feeling the pressure to get so many stitches in. 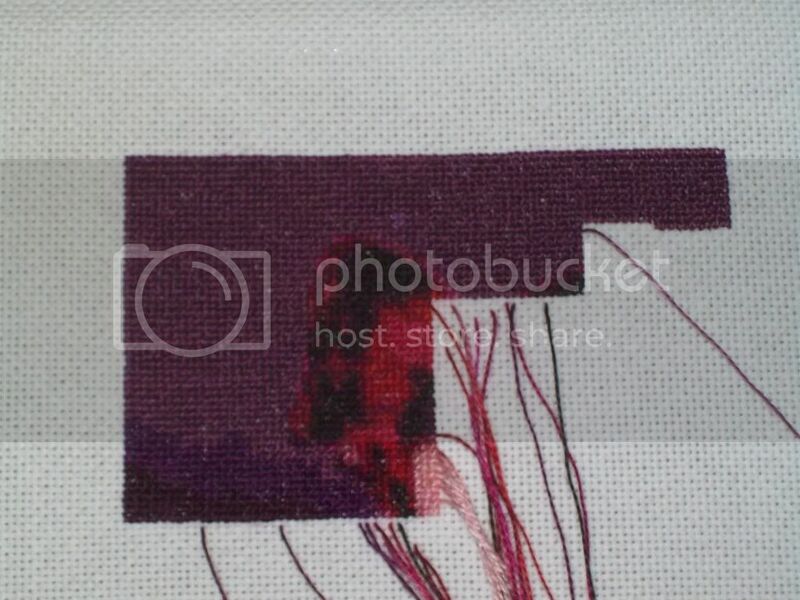 I think something clicked in me about enjoying the process of stitching a HAED. So here she is! The upper left corner has so many shades of browns and tans and even purple! I wish the picture would show how beautiful it really is, but even in daylight I could not get a good shot.